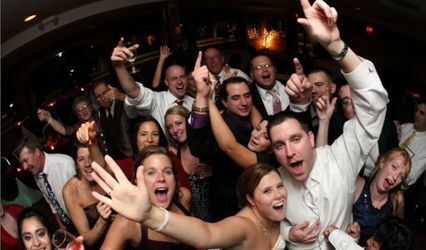 I provide DJ service, emcee, and sound systems for a variety of events: weddings, jack and jill parties, anniversaries, corporate events, school dances, and more. 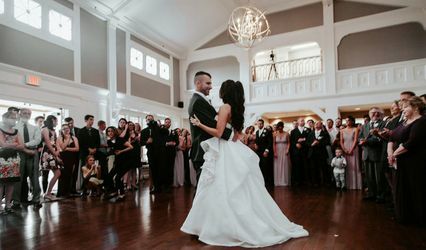 I specialize in the amplification and audio recording of wedding ceremonies, as well as providing sound reinforcement for live musical performances. 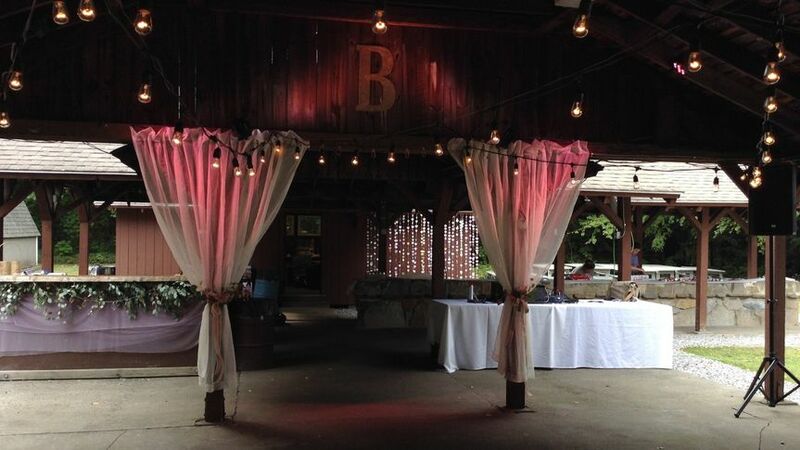 I also offer efficient LED up-lighting to transform your venue with a wash of colors of your choice. I am passionate about my work and that is reflected in the exceptional level of commitment and attention to detail that I bring to every event. 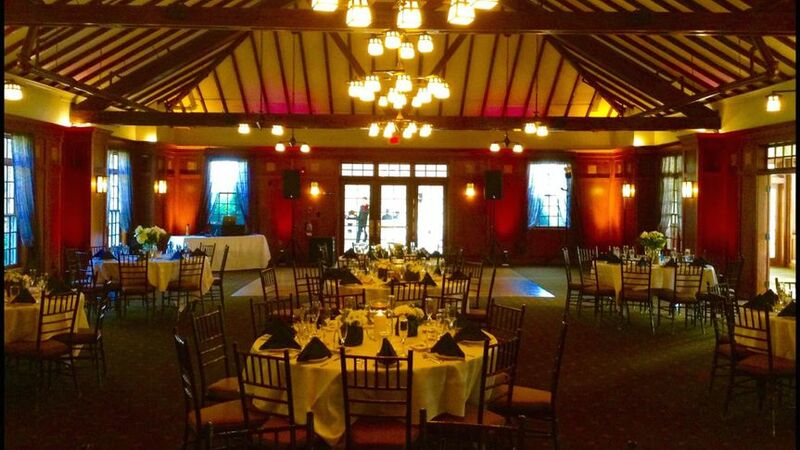 A recent wedding reception that I DJ&apos;d in East Bridgewater, MA. Simple unobtrusive mic technique for ceremony amplification. 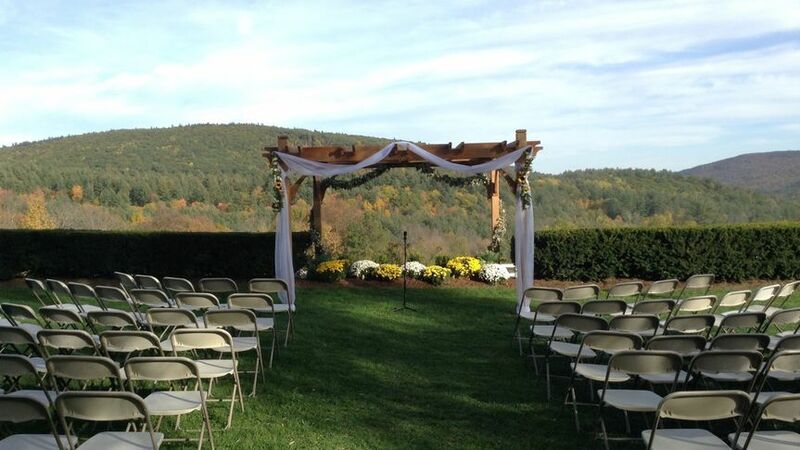 Sound amplification for an outdoor wedding ceremony at the AlexLee House. 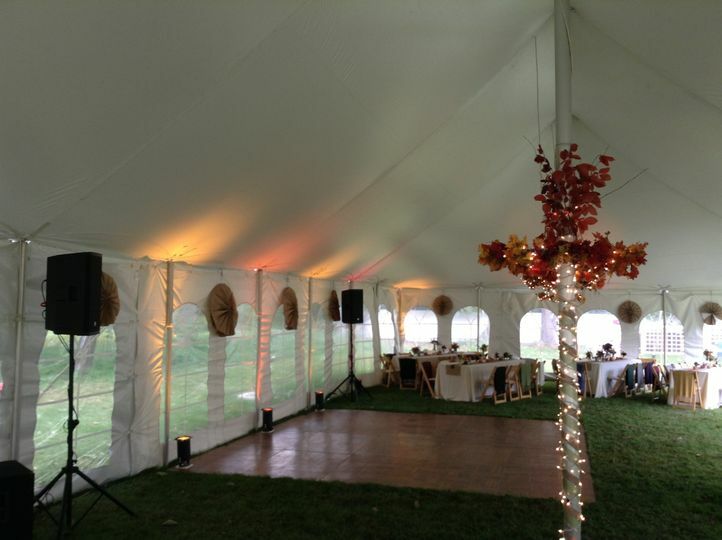 Sound system for music & announcements in a tent at the Curtis House in Ashfield MA. Store grand opening event with backdrop & lighting. New Year&apos;s Eve Party with lots of dance floor lighting. 1. He is very responsive to emails and phone calls and even proactively followed up with reminders, etc. 2. 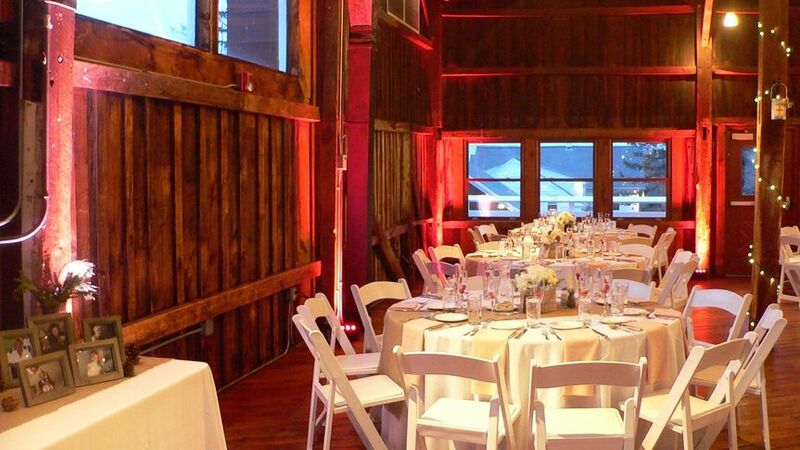 He did a site visit with us months before the wedding to fully understand the acoustic and lighting needs for the outdoor ceremony and indoor dance floor areas. He nailed this on our wedding day. 3. When questions came up or decisions needed to be made with the venue, Pete was there with suggestions and ready to participate. 4. He gladly accepted our music requests and suggestions. He flawlessly executed playing key songs post-ceremony, first dance, last dance - no glitches. 5. We provided him with more than enough songs for the 3 hours of dancing. He was a true professional and read the crowd perfectly keeping the dance floor moving for 3 HOURS! No lags, no awkward moments, just pure dance fun. 6. The recordings he provides of the ceremony and toasts are priceless. I’ve listened to them a few times already and it’s only 2 weeks post-wedding. 7. He took care of all logistics for his equipment, set-up, removal. We really did not know he was there doing this behind the scenes. 8. Last thing - he’s are really nice guy! 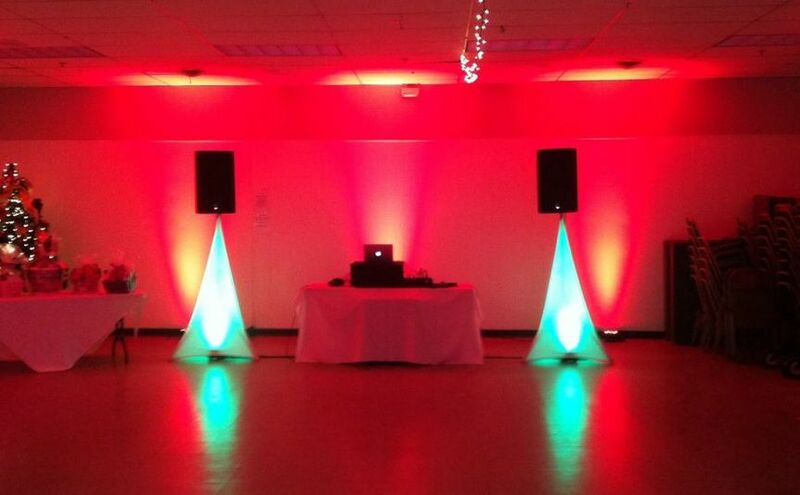 Easy to work with, no drama, no crazy DJ/MC antics. Aside from keeping the dance floor going for 3 hours, this is really important. I could go on but contact Pete and see for yourself. 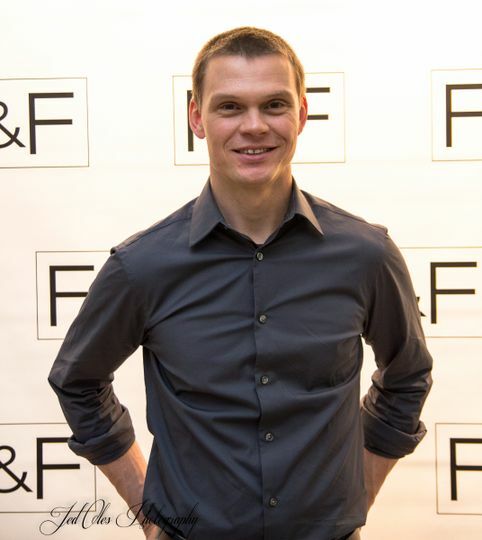 We highly recommend DJ Pete Wildermuth! Pete was the DJ for our outdoor wedding, both the ceremony and reception, and did a fantastic job. He did a flawless job transitioning the music for the ceremony, had a great variety during the cocktail hour, and kept the dance floor full during the reception. 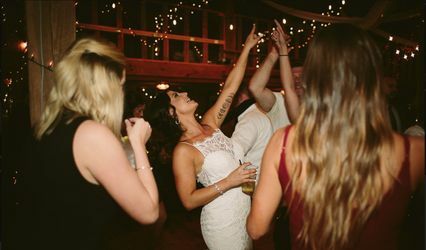 We had several guests tell us how great our DJ was! 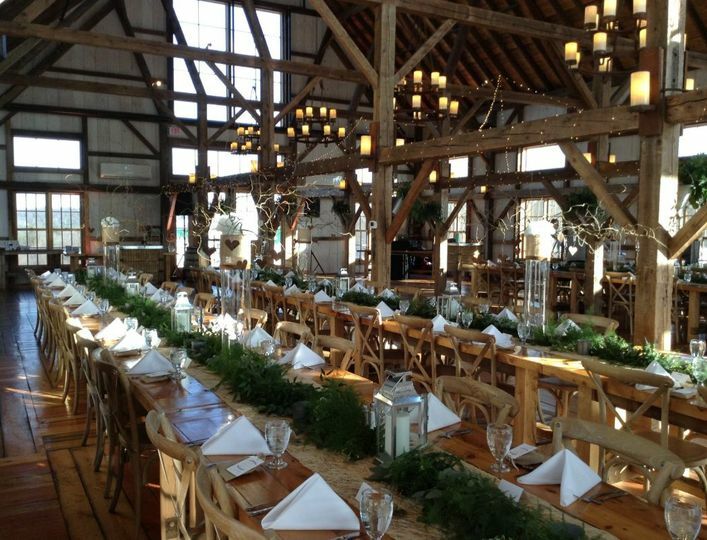 Additionally, Pete was very responsive leading up to the wedding and arrived early day-of. We can’t recommend Pete enough! Pete is a great DJ. He is a true professional. Made the whole planning process easy. Knew what the crowd wanted and delivered! !